But I say, love your enemies! Pray for those who persecute you! In that way, you will be acting as true children of your Father in heaven. For he gives his sunlight to both the evil and the good, and he sends rain on the just and the unjust alike. My mother was married and divorced seven times. I had the privilege of sharing the gospel with several of my mother’s husbands, including Oscar Laurie, the man who adopted me. He came to faith in Christ, and I was very thankful for that. However, there was another husband of hers whom I will call Eddie. He was an alcoholic and almost killed my mother one night when he was drunk. After I became a Christian, I sensed that God wanted me to share the gospel with Eddie. But I didn’t really want to. I thought, He is a bad man, and I don’t want to talk to him again. I don’t want to see him again. But I went anyway. And I would like to say that it was a glorious experience and that he got down on his knees and accepted Christ. But I can’t say that. He listened to me. He was nice. He was pleasant about it and said, “Well, you know I am glad this has happened for you, Greg.” I invited him to come and hear me preach, but he again said no. There may be someone like that in your life who has hurt you, someone who has disappointed you. And you think because of that, you don’t ever want to talk to them again, much less share the gospel with them. But as believers, we are to overcome our personal prejudice and hang-ups. And instead of saying, “Never, Lord,” we need to say, “Yes, Lord!” Be willing. See what God will do. They may react like Eddie. Or they may react like Oscar. Maybe there is even someone right now whom you regard as an enemy. What can you do? You can share the gospel—and leave the results in the hands of God. Summary sentence: Be willing to share the gospel and leave the results in God’s hands! 1. Be loving. “By this all will know that you are My disciples, if you have love for one another” (John 13:35). 2. Be knowledgeable. “Always be ready to give a defense to everyone who asks you a reason for the hope that is in you” (1 Peter 3:15). 3. Be confident. If you act like you don’t believe what you’re saying, then they won’t believe it either. “The wicked flee when no one pursues, But the righteous are bold as a lion” (Proverbs 28:1). 4. Be prayerful. Don’t try to do it on your own. “Pray without ceasing” (1 Thessalonians 5:17). 5. Be gentle. Be tactful. “Let your gentleness be known to all men” (Philippians 4:5). 6. Be compassionate. People don’t care how much you know until they know how much you care. “Finally, all of you be of one mind, having compassion for one another; love as brothers, be tenderhearted, be courteous” (1 Peter 3:8). 7. Be a listener. “Let every man be swift to hear, slow to speak, slow to wrath” (James 1:19). 8. Be simple. Don’t complicate the message. “For I determined not to know anything among you except Jesus Christ and Him crucified” (1 Corinthians 2:2). 9. Be focused. Keep the main thing the main thing. “Nor is there salvation in any other, for there is no other name under heaven given among men by which we must be saved” (Acts 4:12). 10. Be glorifying. We must give the glory where it is due. “I am the LORD, that is My name; And My glory I will not give to another, Nor My praise to carved images” (Isaiah 42:8). Scripture quotations taken from the Holy Bible, New King James Version®. Copyright © 1982 by Thomas Nelson, Inc. Used by permission. All rights reserved. Is “happily ever after” possible? 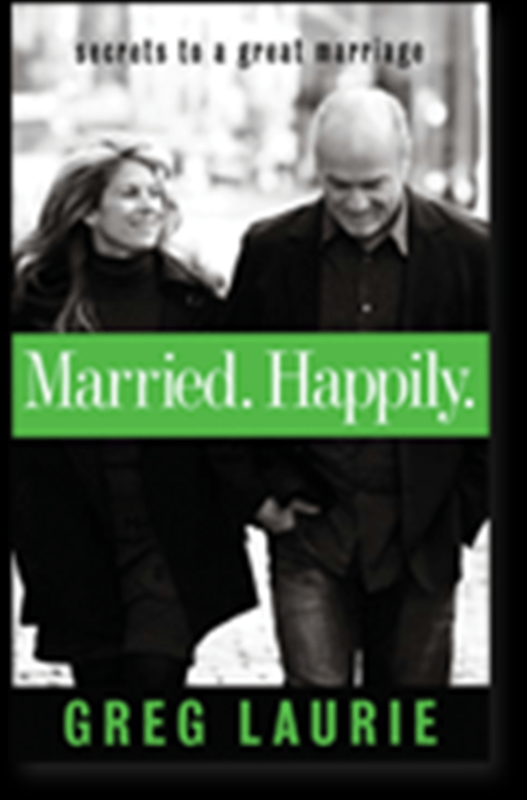 Whether you are thinking about marriage, are newly married, or have been married for many years, this book will guide you to build, strengthen, or repair the biblical foundation of your marriage. For the couple whose marriage is hanging by a thread, it is not too late to have your marriage be what God designed. The application of the biblical principles found in this book, will make your marriage stronger than it has ever been before. You can have Married. Happily. in appreciation for your gift to Harvest Ministries this month.